Maples have an appeal throughout the gardening world for their various features; ranging from the beautifully striped bark of the Acer davidii types to the dainty, finely cut foliage of the A. dissectum forms. A. rubrum and A. platanoides selections are sought after for their incredible autumn colours combined with neat, upright growth habits. 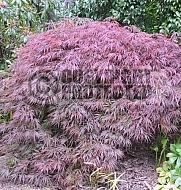 Acer negundo forms with lovely variegated or golden leaves and spectacular tassle flowers are widely grown, as are the A. palmatum forms with their vivid green or reddish-purple foliage. 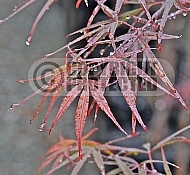 Maples in general require reasonably sheltered positions and good, free-draining soils high in organic content. They are frost hardy but resent hot dry, windy situations.